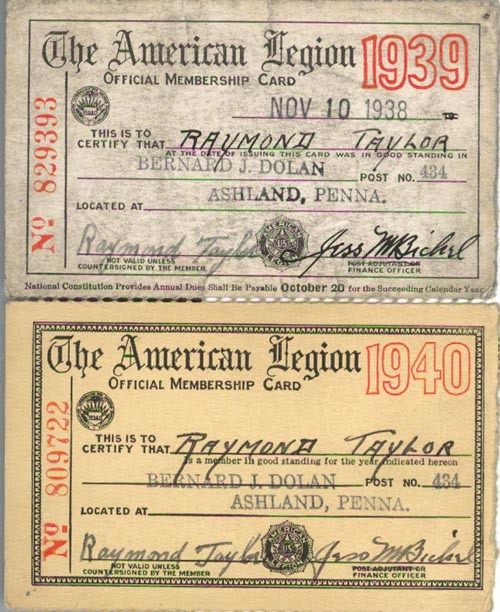 The American Legion, Official Membership Card, Raymond Taylor, Bernard J. Dolan Post No. 434, Ashland, Penna. Dated Nov. 10, 1938.